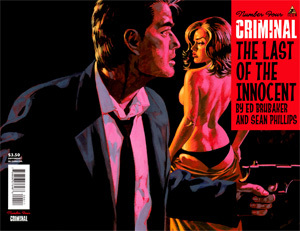 In this final issue we learn whether or not Riley Richards gets away with killing his wife and manipulating everyone close to him over some money issues. If you thought Riley had made some dire decisions in the previous issues, you’ll be astounded at things he is willing to do in this issue. The art, by Sean Philips, starts out a bit worse than it has been in the rest of this series. The main initially character doesn’t look like he had earlier in the series. 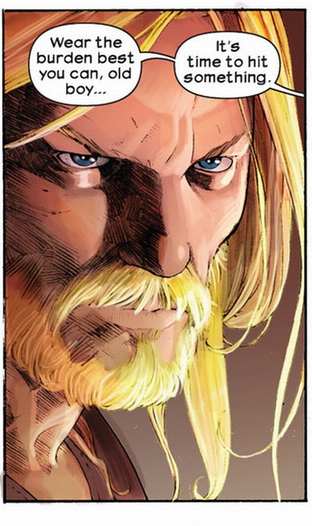 However, he quickly picks up the high level of artistry from previous issues and ends on a stung note. Basically, this is the story of a man who has let his life go down the drain and is willing to do literally everything to get things back like they were in his youth. Even if it means he will have to live a lie (and even fool himself) for the rest of his life. These four issues provide an illuminating peek into the darkest corners of a human soul. It’s not fun, but boy is it good! 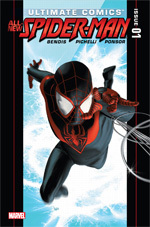 This is one of those series that takes well-known concepts and puts an entirely original and invigorating spin on it, in this case it plays with the tropes of the superhero genre and changes it up by telling a story from the viewpoint of the children from super villains, and their everyday life at a school for super villains. This issue is just heaps of fun, fun, fun! It’s impressing how, so far, with every new issue we learn something new about the characters and the world they live in. This issue sees Kid Nefarious banding together with his classmates to head out to earth (issue one explains that Gladstone’s is located on Mars) and defeat the Red Stormbreaker, the superhero who defeated all their parents. A fun detail is that Kid Nefarious learned about comic books for the first time, last issue. Now he’s constantly got his head in old comic books where he reads about the exploits and repeated defeats of his (and his classmates) parents, by Red Stormbreaker. Figuring that as villains their parents have never worked together to best Red Stormbreaker in combat, it’s up to their combined powers and education to restore honor to their parents’ legacies. This issue has great faux silver age art as well as great, dynamic action scenes by Armand Villavert. I just wish we’d get some audio with it. I’d love to hear some of the thoughts that go into the drawings. 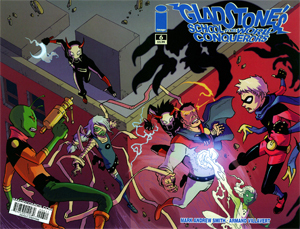 Runners up for week 30: Red Skull: Incarnate 1, Sweet tooth 23, Gladstone’s 3. Great, human, emotional. This book offers a serious origin for the man who would become Captain America’s greatest foe. While it coincides smartly with the release of the recent Captain America movie, this is not one of those throw-away, money grabbing movie tie-ins. 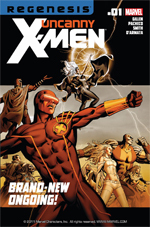 Au contraire, for those familiar with Greg Pak’s Magneto testament, it’s clear that this series is a well researched documentation of fictional characters in a sadly non-fictional history. While the title characters of both books originate from brightly colored superhero comics, Pak’s World War Two titles are anything but colorful and do not contain superheroes (or anything fantastical for that matter). It tells the story of the young Johan Schmitt, who grows up in an orphanage in Germany at the time that Hitler’s NSDAP is gaining power. The kid is the victim of a terrible and violent life and before long starts to commit his own acts of violence… The story seems to be terribly historically accurate and rife with truthfulness. The only reason the writing is not perfect is because of the lack of resolution. This issue shows the first and a very terrible step to becoming a monster, but it doesn’t resolve enough or go into what comes next. What to say about Jeff Lemire’s art? Other than that it’s mighty fine, it’s dark, moody and expressive and quite distinctive. 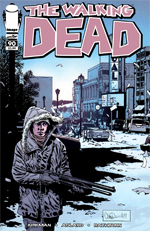 I’m guessing a lot of mainstream comic readers are turned off by his style… …they are wrong. As to the story: While Gus and co finally find themselves in a safe place, tensions between the different individuals are rising to a boiling point. This leads to the characters having to make choices. Gus and Jepperd want to keep moving to Alaska, while the girls want to stay sheltered in the Dam. Meanwhile the professor sows seeds of distrust that are presumably based on the bible scribbles of Gus his dad. 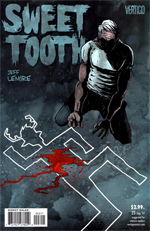 Screw X-men schism, if you want to read about a group of characters that gets torn apart because of circumstances, read Sweet tooth… I really admire the way that Lemire has woven a tail of postapocalyptic animal children, intense human drama and a conspiracy that reminds me of the Dharma Initiative. 5. 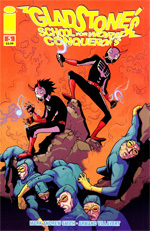 Gladstone’s School for World Conquerors #3 (Image comics) Great original story and interesting set up with a worldwide (?) truce between superheroes and super villains. However, darkness is looming on the horizon because certain villains are rebelling and trying to break the armistice. This issue explains that the villains leave their kids under the impression that there is no truce until they’re seventeen. Interestingly though, we learn of two students of the supervillain academy that are tasked by their imprisoned parents to bring an end to the peace between heroes and villains. 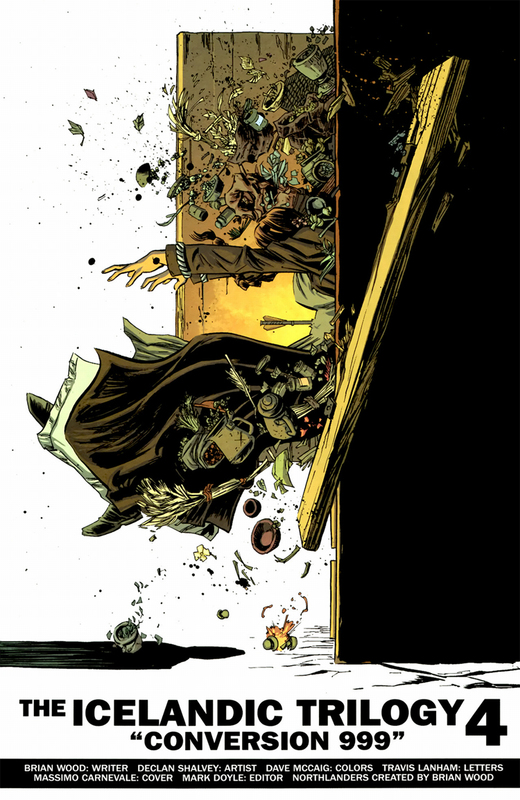 Just as last issue I’m immensely impressed by the world-building by creators Mark Andrew Smith and Armand Villavert. 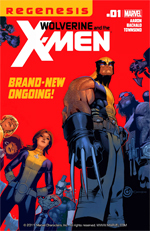 In just three issues they have set up a rich and believable world that plays with the usual superhero formula’s, but turns them upside down in a way that’s wholly new to me. And as a central plot device they use a school for supervillains with which they can tell the story through the kids’ eyes. 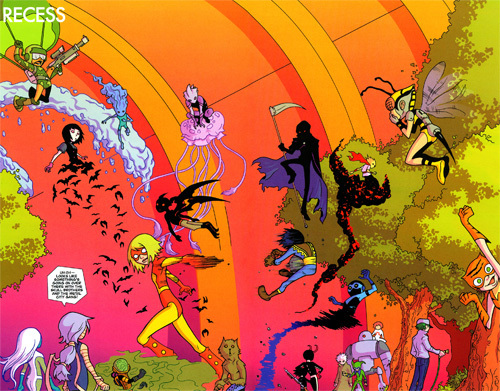 Last time I compared Villavert’s art with Darrow and Kirby, while I still agree with that I think it’s more fitting to put him in the school of art that gave us the Luna brothers and Jamie MCCalvie: Very clean, stylized, illustrating. Again, the only (minor) problem is the lack of backgrounds. Otherwise this title has all the ingredients to follow the success of a series like Invincible… This may be my favorite new book!